There’s nothing sweeter than chocolate and nothing more exciting than amusement parks, which you know well if you are one of the millions of visitors that have explored Pennsylvania’s Hersheypark. Originally opened in 1906 by Milton S. Hershey, the famous confectioner and founder of Hershey Chocolate Company, Hersheypark started as a small leisure park for employees of the company and has grown into an award-winning theme park that spans 121 acres in Derry Township, PA.
Modern-day Hersheypark features several incredible attractions that appeal to young and old alike, including 70+ exciting rides, ZooAmerica, and six different themed areas. Just when you thought that this thrilling theme park couldn’t get any better, Hersheypark broke the mold again by revealing their “biggest announcement ever” on October 3, 2018—a huge $150-million expansion that features a brand-new hypercoaster, making this the largest capital investment in Hershey Entertainment & Resorts history! What fans of Hersheypark are most excited about, however, is the announcement of the new Bolliger & Mabillard hypercoaster! Standing taller than the park’s other hypercoaster at over 200 feet, this new hypercoaster attraction is sure to be big news all the way up to its grand opening. 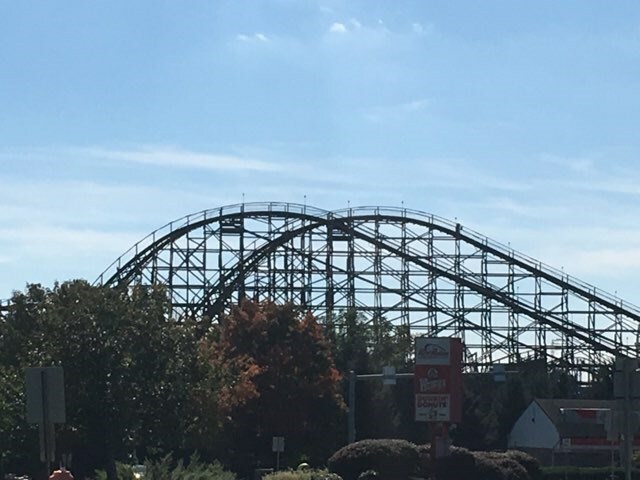 In fact, Hersheypark has plans to open up Chocolatetown and the new roller coaster for the 2020 season—although that might still seem like a long wait for rollercoaster enthusiasts that love visiting the park every summer. Since 1928, O’Brien’s Moving has watched as our community has grown, expanded, and thrived, and Hersheypark and the surrounding region is no exception. We’re excited about the continued growth in the area, and our Hershey interstate movers work hard every day to serve Hershey area residents with the superior long distance moving solutions they deserve. As a long-term agent of Allied Van Lines, our award-winning Hershey interstate movers are capable of handling moves large and small—making it easier to pack up your home in the area and relocate to anywhere you need to go. Just give us a call today to learn more about the full-service moving solutions we offer, or fill out our online form now to request your free estimate.